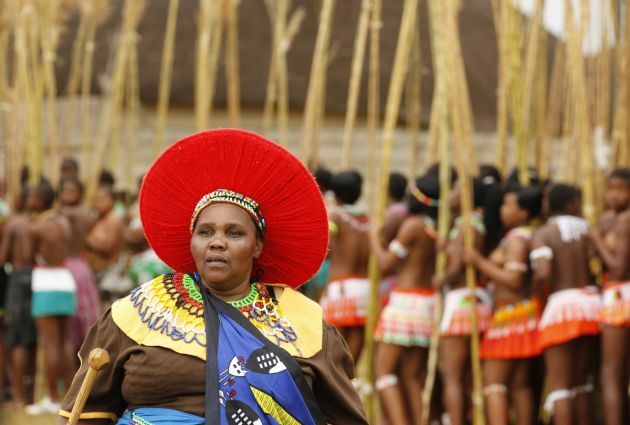 (Photo: REUTERS / Siphiwe Sibeko)An elderly woman looks on as maidens take part in the annual Reed Dance at Ludzidzini in Swaziland August 28, 2011. During the eight day ceremony, virgin girls cut reeds and present them to the Queen mother. The Reed Dance also allows Swaziland's King Mswati III, who is estimated to currently have 14 wives, to choose a wife if he wishes. 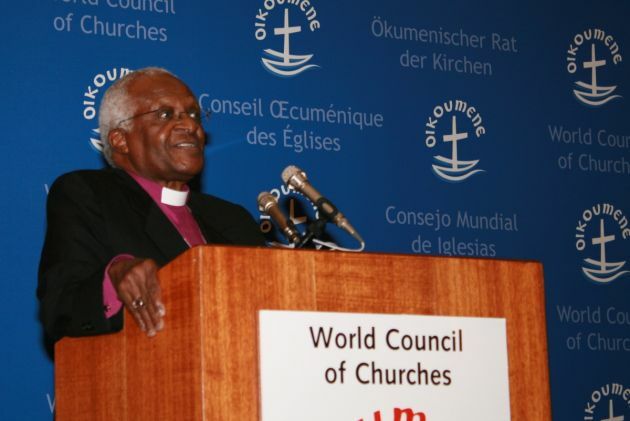 South African Archbishop Emeritus Desmond Tutu has signed an open letter along with human rights organizations demanding Swaziland's King Mswati III address his country's worsening human rights crisis. "We write to express our concern about the state of freedom of expression, judicial independence, and the rule of law in the Kingdom of Swaziland," reads the letter addressed to the king. Along with Nobel Peace Prize laureate Tutu the letter was sent by the Robert F. Kennedy Center for Justice and Human Rights, Freedom House, the Democratic Governance and Rights Unit at the University of Cape Town, and the Media Institute of Southern Africa-Swaziland Chapter. The June 5 letter says the continued arbitrary arrests and detentions of human rights lawyers, independent journalists and editors, and political activists have demonstrated a brazen disregard for basic legal procedures and human rights in Swaziland. "The recent arrest warrants issued for three High Court judges signal a further deterioration of the rule of law. "The most recent abuses of judicial independence and media freedom, coupled with the absence of a democratic system of governance and rampant abuse of state resources, are combining to cement the subjugation of the Swazi people," says the letter. Swaziland is a landlocked monarchy with a population of 1.1 million people, currently ruled by King Mswati III, whose opponents accuse him of autocratic rule and dismal governance. A large swath of it surrounded by South Africa and it is also bordered by Mozambique. Political parties have been banned in Swaziland since 1973. Adding to the country's economic woes the Kingdom of Swaziland's central bank in late May reported it has only about $790,000 left in its coffers and the country has one of the highest rates of the HIV virus in the world. Allafrica.com reported on May 15 that King Mswati has increased his annual household budget for 2014 by more than 10 percent to $61 mllion, this is on top of the 13 percent increase he had in 2013. The letter to the king urges Swaziland government "to begin meaningful discussions with the growing number of citizens and independent organisations that are demanding their basic freedoms and calling for democratic reform in Swaziland." he United States is deeply concerned by the continued detention of human rights lawyer Thulani Maseko and journalist Bheki Makhubu in the Kingdom of Swaziland. Maseko and Makhubu were first arrested in March and are being held on charges of contempt of court for publishing an article critical of the High Court of Swaziland. The U.S. State Department issued a statement on June 6 saying, "The United States is deeply concerned by the continued detention of human rights lawyer Thulani Maseko and journalist Bheki Makhubu in the Kingdom of Swaziland. "Maseko and Makhubu were first arrested in March and are being held on charges of contempt of court for publishing an article critical of the High Court of Swaziland." The United States urged the Swaziland judiciary to recognize its obligation to uphold the rule of law and provisions regarding the protection and promotion of fundamental rights and freedoms enshrined in its constitution.